If you subscribe to their newsletter and buy a momi bag online you get 10% discount! The After Dark baby bag is currently on special, sold at R770 (normal price: R969). Bags are also available from kids emporium nationwide as well as other boutique baby stores listed here. We are giving away an AMAZING after dark momi baby bag. To enter, comment below, stating which is your favourite momi baby bag. Competition only open to SA residents, will be announced on Friday, 25 April 2014 and will be selected randomly. Just in love with the after dark bag! The After Dark baby bag. Stunning momi baby bags. Love the O baby pink. Love the after dark bag! Need a stylish bag like that! After dark bag for sure! I love the TWEET one! All the bags are super but my preference is the after dark momi baby bag! Love the “After Dark” bag. after dark bag. just too chic. they are all so gorgeous!! I love the Moon over Shanghai 🙂 I think its gorgeous and love the after dark bag too 🙂 just beautiful!! I love the after dark baby bag,perfect and suitable for my baby boy/girl to be born in july..
Definitely the after dark! Love the colours, so versatile! I LOOOVE the city safari bag, for a totally jeuge mom! 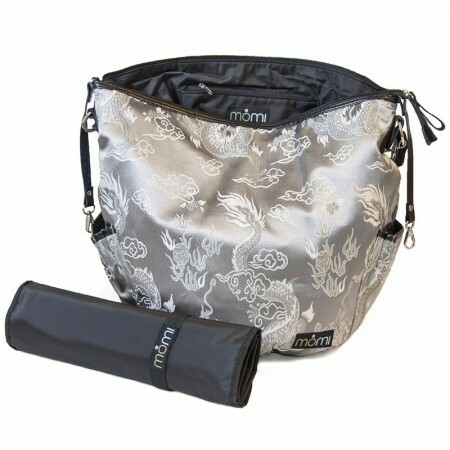 I love the tweet momi baby bag! They are all beautiful. My favorite is o Baby. Totally in love with the TWEET bag! !